Peak body Cherry Growers Australia (CGA) has been inundated with inquiries from members looking to ship fruit to Vietnam over the coming season. 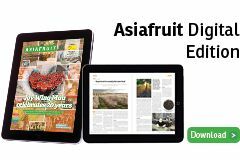 Australia’s assistant minister for agriculture and water resources, Anne Ruston, announced that a market access agreement for cherries had been reached with the South East Asian nation in August, with Vietnamese dragon fruit granted reciprocal rights at the same time. The terms of an export protocol were finalised last week, with Australian cherry suppliers now being invited to apply to Vietnamese authorities for import permits. "As an industry, we’re export ready and export focused," explained CGA chief executive Tom Eastlake. "There's already lots of interest in sending fruit to Vietnam over the coming months." Along with recognising Tasmania and South Australia’s Riverland region as pest free areas, the protocol lists cold disinfestation and irradiation as accepted treatments. The move to allow irradiation is seen as significant as it will pave the way for airfreight exports from all Australian states. Eastlake said Vietnam had been an important market for the country's cherry suppliers until access was cut in 2015. 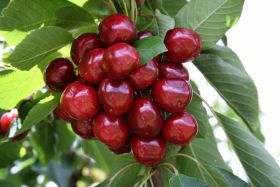 To help rebuild market share, Australian cherries will feature prominently in the popular Australia Now! In Season retail campaign in Vietnam over the coming months, along with various other initiatives planned under the new Taste Australia banner. Aiding the cause is the forecast of a bumper crop this season. After weather events across the country saw production volumes fall 40 per cent year-on-year to 9,000 tonnes in 2016/17, the early outlook suggests this year’s crop could surpass the 16,000 tonne mark, setting a new industry record in the process. A full version of this article will appear in the November edition of Asiafruit.